As voice search becomes more commonplace for users, Boston Web Marketing is constantly monitoring industry resources to stay on top of voice search trends. With the new year, it was confirmed that Google Assistant, Google’s version of the Amazon Alexa, came out with some new features. 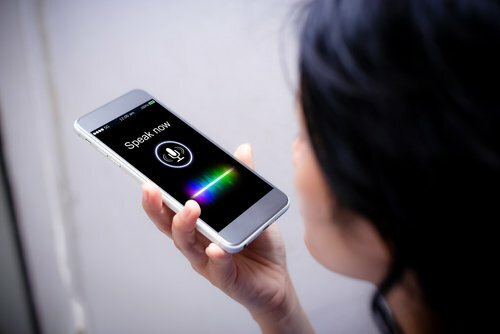 These features remain consistent with voice search continuing to trend as users now have more devices than ever that have voice search capabilities. Continue reading the blog to learn more about some of the features! New features for Google Assitant are Hotel Bookings and Airline Check-ins. They will soon be available on smart speakers that are compatible with Google Assistant, but for the moment, it works for smartphones that are capable of Google Assistant. While these seem like small steps in voice search, it allows users to continue to grow more comfortable using voice search. As more practical uses are provided by Google Assistant, this will only transition into people using it for queries users would otherwise turn to their phone to type in manually. As traffic and searches divert from PC’s to mobile, the next transition is users utilizing voice search to find local business and services. Some industry experts estimate voice initiated searches will account for half of the search queries by the year 2020! Not every hotel and airline is set up to perform these features. The hotel chains and booking sites that Google partnered with for this initial rollout include Priceline, Expedia, TravelClick and a variety of these companies subsidiaries. Voice initiated airline check-in via Google Assistant is only available for United airline. It is predicted this will expand to most airlines sooner than online bookings for hotels as checking in for a flight tends to be just a check of a box. As a certified Google Partner, our resources, in addition to our personal research and discovery, helps us continue to help clients in a variety of industries. If your organic SEO, paid ads, or website in general, could use improvement, give Boston Web Marketing a call today. Our SEO reps work with you to understand your business and industry and implement SEO best practices to get the results you’re looking for. We look forward to your call and helping your business grow online and get found quick!